Set in a tranquil ‘get away from it all’ location near to Golden BC, with 360 degree views of the Rockies, Purcell & Selkirk Mountains Bear Paw Lodge is an ideal base from which to explore the stunning local area of Golden and nearby national parks of Yoho, Lake Louise & Banff, or to enjoy the wildlife and relax at the house in peace and tranquillity in the mountains. 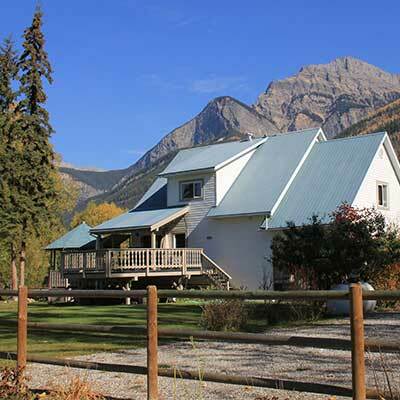 Only a short drive from Golden and Kicking Horse Ski Resort, 55 minutes from Lake Louise. 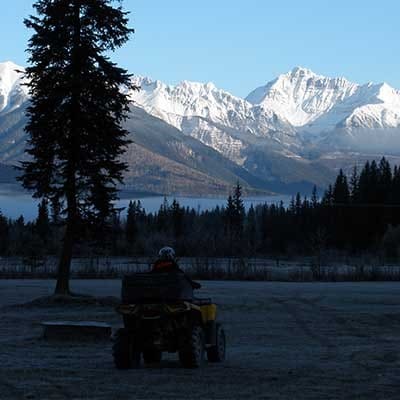 Hiking in the mountains, visiting the surrounding national parks of Banff, Lake Louise and Yoho and many other activities such as Mountain Biking, Snow Mobilling, ATV tours, White Water Rafting, Golf and Wildlife Watching. A perfect place for total relaxation with stunning mountain views, incredible wildlife and a peaceful environment. Sleeps 10 – Hot tub – Boot dryers – Wifi – Air Conditioning -Huge yard – Fire-pit – BBQ – Horseshoe pit – Large parking – Complimentary cycles – Deck.